EPSCoR, the Experimental Program to Stimulate Competitive Research, is a federal grant program led by the National Science Foundation (NSF) to help states develop their research capabilities and institutions. 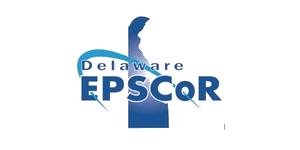 Delaware received its first NSF EPSCoR grant in 2005 to create a statewide, interdisciplinary network of people, programs and instrumentation focused on the theme of complex environmental systems and ecosystem health. The University of Delaware, Delaware State University, Delaware Tech and Wesley College are partners in the program.